Hugs for Hailey: Ronald McDonald House - An easy way to help! 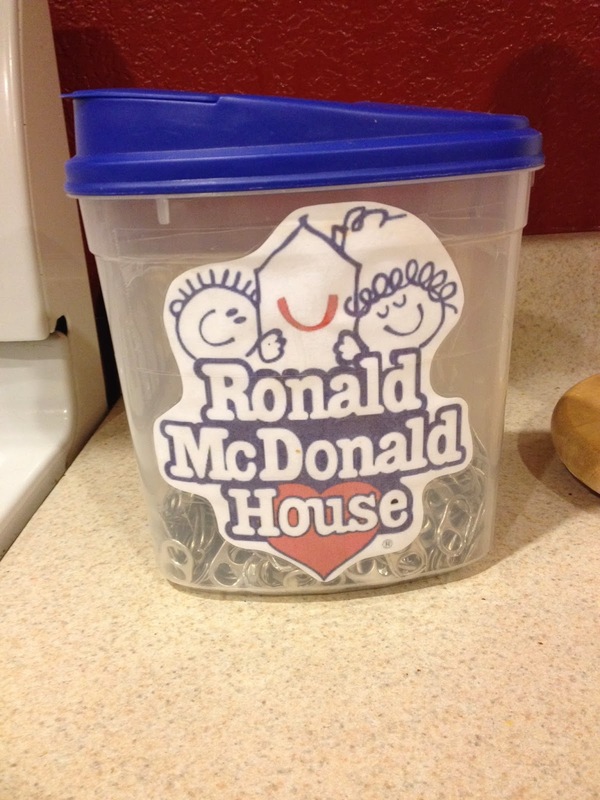 Ronald McDonald House - An easy way to help! Yesterday we had a Dr. appointment for Hailey in Utah. Luckily we didn't have to drive ALL the way to Salt Lake. Even though we love SLC it's a very hard trip for us to make. Over an 8 hour drive that we have to split up over 2 days. Last year when Hailey was hospitalized at Primary Children's Medical Center we were able to stay at The Ronald McDonald House for many many days. The day she was officially diagnosed we stayed there as well. I remember them telling us depending on the day that if we could pay either $10 or $15 for our room. If we couldn't afford that there would be no cost at all. Ronald McDonald House Charities (RMHC) became our home away from home. If you want to help RMHC there are many things that you can do. One of things we have been doing that I've blogged about before is to collect the pull tabs on aluminum cans! It's an easy and much appreciated thing to do. If your work place has a break room where you can put a collection box please do so! You can also see if your employer is part of the Donation Match program where they will match your monetary donation. I made my own collection box and it was extremely easy to do. If have been inspired to put one either in your home or your work please let us know!